Home decorating is always a fun time. You can have a ball while rearranging and reshuffling your decor and decorations. After all, what’s the point of having somewhere to live if you can’t kick back and enjoy it? It makes it all the more worthwhile when you can invite friends and family around to share your space, share some food and drinks and share some laughter. 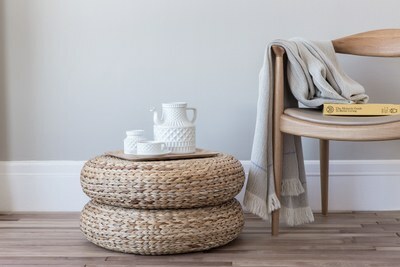 But there’s a challenge afoot if you want to go for the minimal aesthetic on a shoestring - believe it or not a chic minimal look can sometimes cost a pretty penny. So let’s take a look at how to create an affordable minimal vibe without breaking the bank. Window dressings can make or break the minimal look. For example, heavy floral drapes are a far cry from minimal. That’s why you should buy sheer curtains instead. Sheer curtains give a sleek appearance without the feeling of clutter and chaos — precisely what you need for that minimal feel. While you should stick to sheer curtains in your living and sleeping quarters, consider something a bit different for the bathroom. A nice white lace or similar window dressing in the bathroom is the perfect choice — especially if you have a neutral palette offset with some choice natural timber panelling. When going for the minimal approach the key is to choose just the right amount of decor. For example, your couch or lounge suite should have a single throw cushion right in the middle — and you’ll need to pick the colour carefully. If you have a black leather suite then choose a bright white or cream cushion to offset the dark colour — or vice versa if you have light leather. Charcoals and greys can perfectly contrast with neutral palettes as well, creating a smooth and smoky interior landscape. To Art or not to Art? One conundrum people opting for a minimal decoration scheme often come up against is whether or not to hang art on the wall. The answer is yes — you certainly can, but only one or two pieces. Having a wall cluttered with artwork may work for some but it's definitely not a minimal approach. The type of art matters as well. Classics and impressionism might be beautiful, but they’re not exactly soft and quiet which is what you’re aiming for here. Stick to minimalism, cubism, or even ultra-modern. Something understated and quiet that will complement your sparse decorations and the colour scheme is the way to go here. If you’re working with a budget here, don’t fret. You don’t have to pop down to the nearest trendy gallery to buy an original piece, prints work just as well. As well as some simple decoration tips and tricks there’s a few things you can do to keep up the minimal vibe. Ideally you want surfaces free of clutter and chaos — so refrain from dumping your bags on the table when you get home and kicking off your shoes into a corner. Have a space to hang your bags and coats, preferably in a cupboard out of sight. It may be worth investing in a shoe cupboard near the door as well so you can pop your footwear in it as soon as you get home — this will also reduce the amount of sweeping and vacuuming you’ll need to do too. Minimal interior design is possible, beginning with choosing the right window dressings. Next, try a few choice pieces of decor, aiming to offset the palette of the room. Art is okay, but only of a certain style and only a small amount. Finally, maintain the look by keeping your home free of clutter and mess.